1.I restyled my kitchen shelves last week using this gorgeous dinner set from Royal Doulton (gifted). It is from a range designed by Ellen Degeneres and I loved the effortless style each of the items has. I’m not sure what age dinnerware becomes more exciting than shoes, but I think I’ve reached it! 2. Does anyone else LOVE herbs? 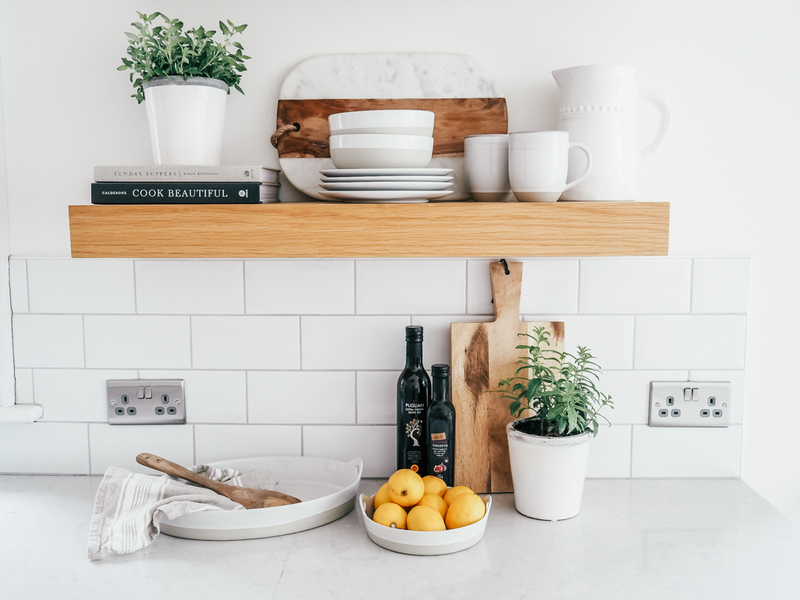 I get through so much basil, coriander and parsley in cooking – they are just so fresh and tasty, and I love these earthenware planters from The White Company (gifted). As you know, they can do no wrong in my eyes and these planters are no exception! 4. Exciting blog news – I am working with intu Derby over the coming weeks as part of their Welcome to our World campaign to showcase how great the shopping centre is for home and lifestyle lovers like me. I had a blast exploring the centre and must say, the staff in the shops there were the friendliest I have come across. Have a look at their website to see more about my shopping trip there (OMG i’m on the front page) and keep an eye on my blog and Instagram for more including what I bought and how i’ll be styling it up in my home. I can’t wait to share it with you. 5. I can’t quite believe it but we sold out of tickets for our first #addictedtointeriors event! If you’ve missed me talking about it so far, it’s an event for interiors and instagram lovers in the Midlands. The event is at the very beautiful Neptune Home store in Birmingham on Thursday evening. If you are coming, I can’t wait to meet you and I’ll be sharing more as it happens over on Instagram on Thursday evening!